Bonnie Whitmore brings to each performance the brightness and command of her audience that any seasoned artist would envy. Her soulful personal style sets her apart from other artists her age. People leave her performances believing that they have made a friend and witnessed a young lady well on her way to success in the music business. Bonnie first began her musical journey on the violin at age five, but moved on to play the cello and left the fiddling up to her older sister, Eleanor. She started playing the bass guitar and singing harmonies in the family band with father Alex and sister Eleanor at age eight, slowly edging mom out of the act. By fifteen, she got her first professional gig playing with The Brent Mitchell Band. She played for Brent nearly two years and participated in their second album, �Fallen Angel Palace.� Since then, she has been freelancing as a bass player/cellist for musicians such as Miranda Lambert, Mark David Manders, The Great Divide, Nathan Hamilton, Kim Deschamps, Kevin Deal, Shelley King, and Susan Gibson. Bonnie�s album credits include Terri Hendrix, Susan Gibson, Magee Payne, Shelley King and a host of local singer/songwriters. She was also part of the Fort Worth Youth Orchestra where she played cello for three years. They performed regularly at the Bass Performance Hall and toured Italy in the summer of 2001. 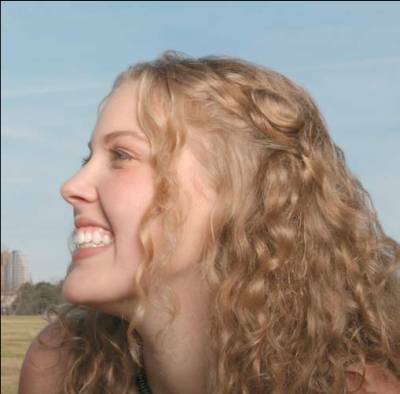 She has played in several Texas Music Festivals including Kerrville Folk Festival, Larry Joe Taylor Fest, Tommy Alverson�s Fest, and Texas Music Nation Fests. Bonnie has toured twice with Shelley King on the East Coast and has played in bands billed on shows with John Michael Montgomery, Chris LeDoux, Bob Schneider, Reckless Kelley, and Pat Green. Bonnie has never wavered from her goal which is to be a nationally recognized performer and trend setter in the music business. A move to Austin, Texas to immerse herself in the music scene has allowed her to perform her songs regularly on her own when she is not performing in other bands. This has also allowed her to form a lasting friendship with duo partner/songwriter Jamie Blythe. Jamie contributed three songs on Bonnie�s CD. 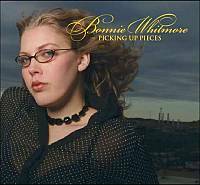 Taking all the influences and wisdom she has learned along the way, Bonnie has aptly titled her new CD �Picking up Pieces,� on which she plays bass, guitar, and cello. This CD has already achieved success, being placed on the official 2005 Grammy Awards Ballot for Record of the Year, Album of the Year, Song of the Year, Best New Artist, Best Country Female Vocal Performance, Best Country Song, Best Country Album, and Best Recording Package. With this debut CD, Bonnie Whitmore is going to shake the music scene to its core! At age 22, Texas native Bonnie Whitmore is already an 8-year veteran of the vigorous Austin music scene. �Picking Up Pieces,� is her debut CD, a contemporary take on her country roots, showcasing her pure vocal quality and phrasing. She played a wide mix of instruments on the CD - acoustic guitar, bass, and cello. Veteran songwriter Brent Mitchell contributed one new composition to the record, �Hand of God,� written especially for Whitmore. Watching someone grow up is often fascinating. Watching an artist like Bonnie Whitmore grow up and mature is fascinating and satisfying and intriguing. Where does the talent come from? Where is she going to go? Is she going to successfully navigate the odd river of art and business that flow from the talent? I met Whitmore in a bar. I was walking into the Lone Star Cafe for KHYI�s Wednesday night pickin� party. Saw, in the dark, a pretty blonde way out in the parking lot. I stared a little, and she looked back and waved and, across three rows of cars, shouted, �Hi!� I waved back and went on in. Whitmore came in. She was 15 at the time, almost 16, and she was playing bass for her dad, Alex, that night (I was vaguely embarrassed). She was already playing bass for Brent Mitchell�s band, and was a cellist in the Fort Worth Youth Orchestra. Her mom, Marti, is a classical soprano and her older sister, Eleanor, is a fine fiddler/violinist. Now Whitmore is in her early 20�s. She moved to Austin, toured with Shelley King and Frank Neville and played bass and cello on a number of studio recordings. She is establishing herself as a solo performer, too, and in a duet with Jamie Blythe. She is growing up. Please forgive the personal notes. Here are some thoughts about the new CD, �Picking Up Pieces�: Five of the songs, including one co-write, are Whitmore�s. The other seven are covers: three by Blythe and one each by Mitchell, Stacey Earle, Jenny Reynolds, and Brian Reed of the EvinRudes. They are good choices for Whitmore�s alt-folk-pop style and voice, which is strong and restrained, and with a hint of delicacy like a child growing up. Blythe�s �Cool Chameleon� - �Everyone wants a piece of me / �cause I get inside their mind / but I�m just a cool chameleon / whose real home she�ll never find� - is a moving song about looking for your place in the world. Congas, electric guitar, and bass combine with Whitmore�s vocals for a subtle but appropriately edgy sound. Mitchell�s �The Hand of God� - �The hand of God is missing some fi ngers / its creases are a novel / for a gypsy palm reader� - is well, maybe, profound in its naturalness. Alex Whitmore produced. Marti played keyboards. Eleanor played fiddle. Bonnie played acoustic guitar, bass, and cello. Josh Ingram and Drew Campbell played drums and congas. Sam Sanchez played electric guitar. A whole bunch of folks added back-up vocals. Whitmore has already been on a couple of CDs, but �Picking Up Pieces� is her first �real� one. She probably couldn�t have made one this good a year, maybe two, ago.